In a statement, the airline says the flights are being suspended because they don’t make a profitable contribution to its business. “We remain fully committed to Africa and will continue to serve East Africa with a daily service to Nairobi and a thrice weekly service to Entebbe, increasing to four times a week from the start of the summer schedule 2014,” it said. Mr. Chaila said in an interview in Lusaka today that the move will adversely affect the inflow of tourists coming to Zambia. He said ZTB was mobilizing other stakeholders to persuade BA to stay and continue servicing the route. And several stakeholders and economic analysts interviewed said the move may lead to a loss of revenue and other social benefits to this country. Early this year, British Airways (BA) pulled its flight services between London-Heathrow and Tanzania’s capital city of Dar es Salaam because it was not performing well from a commercial perspective after almost four decades of flight services to that country. BA, which is among the long-serving European-registered airlines, suspended its service from London’s Heathrow Airport to Dar es Salaam, and closed its business in Tanzania on Easter Sunday, March 31, 2013. What more with the president connecting through Dubai to London the other week…? Zambia should have thought about BA before letting in all these doba, doba airlines into the country. This will adversely affect Zambian economics..
BA can’t just compete with their rivals!! Good riddance … the most arrogant airline of all times, after all. We really don’t need them, what the smart people of the Zambian Enterprise need is Zambia Airways (QZ) back flying not only in our skies but also on international frontiers. I concur with @JJ. Notwithstanding the increased cost of fuel in Zambia, BA are a struggling airline. They have lost business to KLM, ETA, SAA and Emirates. It must make business sense for BA, what with the high cost of aviation fuel. What has exersabated this is the Chinese factor. All these business men and women are now flying to China for the cheap and lower quality goods. This has resulted in fewer passengers on the direct route. Given a choice, i’d rather pay more and fly direct than cheap and go through Addis or Dubai. Having said this the Zambian govt shouldn’t entertain a national airline. It’s prohibitively expensive! This will have an effect on People travelling to Zambia. The quickest route in my experience is the BA flight from London HR to Lusaka KKI. I have just checked with KLM and SAA, the flights take longer and cost more than the direct BA flight. Lets hope that BA reconsider…. London is a place for dull, poor and lazy opportunistic people anyway. You shouldnt just blame it on Zambia, keep it in mind that the economies of the world are nolonger holding tight, Europe has been reviewing their budgets on everything, starting from gabbage collection to Taxes, both private and government entities are thinking twice before putting both their legs into the ocean, BA has had their share of problems for the past five years as far as my memory can serve me, from cockpit staff members protesting to bonuses and salaries being slashed, they are just doing what every western country is doing in reducing costs, too bad for poor African nations for they are the first to be cut and Zambia is no exception, this topic is broad i cant elaborate every detail but am sure you get my point. B R Mumba, Sr, you cannot say “good riddance” when the economy of Zambia will be negatively impacted. We do not have the capacity to profitably run a local airline on international routes. If you’ve done the sums, you’d have realised that the GRZ will end up pouring scarce resources into QZ (just like the SA government is doing with SAA). That is simply not wise especially when UTH and many other medical institutions do not have sufficient lifesaving vaccines for babies and even ARVs for poor adults. Bushe chipale chapamusebo mulefwaya? I challenge the Ministry of Foreign Affairs of the Republic of Zambia to do its home work. Look, first to pull out was the Anglo-American, then followed by the British Petroleum (BP), then forcing Zambians to travel all the way to South Africa for a simple visa and now the cancellation of British Airways (BA) flights to Zambia. What next? Closure of the British High Commission in Zambia? I suggest we reciprocate by re-locating our investment in the UK, if we have any such investment, including selling our copper at the London Metal Exchange, to say Germany, France, Sweden, Belgium or Italy. Let us also shift the issuance of Visas from the UK to Paris, France. We are being short-changed. No that is not the case. They have just failed to compete with KLM, KQ, Ethiopian Airline and Emirates. They are just too expensive and they only allow you one piece 23kg baggage whilst the other airlines allow u up to 40kgs in some cases!! I like to fly BA (and have always had a good service) and am deeply disappointed that this route is being pulled. We need direct flights from Lusaka to the UK – no one likes to change. I am very worried about the effect this will have on the growing Zambian tourist industry. Economy class is nearly always full on this flight! Will any other airline step in – or do UK travellers now always have to change to get to this destination? Hopefully KLM can take their place; and keep BA out in the future also. How can they not make profit with those very expensive tickets of their? It is a shame. KLM used to come to Zambia before and they suspended their flights for the same reasons. Be assured that they will also suspend the flights again. Iye ! This is very sad.It is the most convenient route when one is coming to Europe from Zed.Looks like I will be back to spending 24 hours before reaching Zambia.This has spoiled my day. Anyway I will still remain with KLM even though it arrives late in the night. 24 hrs??? Used kenyan last time and was in Zambia in 15hrs and same duration using KLM back to my base. Only 5hrs longer than BA but way cheaper and better cabin crews. The one that used to take me about 24 hrs is South African airways. As i said unless you’re a tourist and need long stopovers, you can be in Lusaka way earlier than 24hrs if you want. Patiently check out flight compare sites you’ll definitely find shorter duration flights. Ok thanks for that bro.Good advice. Baleyo oko,don’t come back who cares,we have still survived without Zambia airways so what if you go? Ba tom tamweenda. Probably you have never even been on a plane. Ba Mamen nimwebo mwebashenda. BA yalichila ama rubbish,try Emirates to London,you’ll see the difference. Could this be an indicator of something else,why suspend all flights,once a week could be economical,someone get to the route cause of this. Why cant you get to the root cause of it yourself? Always expecting others to do the job for you, mambala! From Paya Farmer to Paya Ndeke. Emirates should launch a direct route to London for people who hate connections. Other Airlines will take over the route and make a profit. who needs BA anyway? Its not profitable for them simple as that there are more profitable routes. Why force them? Is it not FTJC and then Minister without portfolio Mr MCS who murdered ZA? Who still flies BA? they are stuck up pompous overpriced gits….they have just been outsmarted by the leaner savvy operators like Emirates and Turkish Airlines. BA has been ripping us off for years only gov’t officials them and they are the ones that will miss them….Turkish Airlines will gladly take up those slots left by BA. This is a lesson and a good wake up call to those who are calling for a national airline, its a dog eat dog sector where we should not risk taxpayers funds…if BA can bow out what of a newly created airline. but i recall sometime last year when zambia was nominated to be a hub of various connect flights and govnt needed to take advantage by building new airport facilities, what happened to that idea?? Our own ailrline would make more sense…i cant see any reason why zambia cant have its own flag carrier????!!!!! That plan was quashed as it was going to give more control to the Turks and Turkish Airlines. There is no SUBSTANTIAL evidence to date that creating a national airline DOES increase TOURISM….we can still boost tourism with the airlines flying in at the moment. Let them go,as if its the first time they are lvng us!..if they r making losses,its not our fault they r too expensive for nothing! !.viva KLM and Emirates…infact kenya,ethopian,south african and proflight are doing a better job in zambia!! It is the first time they are living Zambia. A Sign of of Zambia’s declining economic fortunes and increasing isolation from the international community. Kay this move by British Airways has nothing to do with your so called ‘Zambia’s declining economic fortunes & increasing isolation….’ You must realise that the economic recession in Europe is not yet over. If giant airlines like Lufthansa can cut down costs, how much more BA?! This is not the first time international airlines have pulled out of Zambia. For your own information, BA stopped flying to Tanzania in March 2013. It also announced that there will be no more flights to Harare. This clearly has nothing to do with ‘isolation’ of any sort. Every business is simply trying to cut down costs and close businesses that aren’t as profitable….. Try to act like you understand economics ninshi tapali nefyomwaishiba,shut up! The’r service to Lusaka had become really shoddy in the last few years. I’m glad the travelling public will no longer be subjected to those faulty aircraft that were a disaster waiting to happen. Someone else will gladly take their place. Good business sense does not allow one to service a nonprofitable route. BA is not like the former ZA or UBZ. 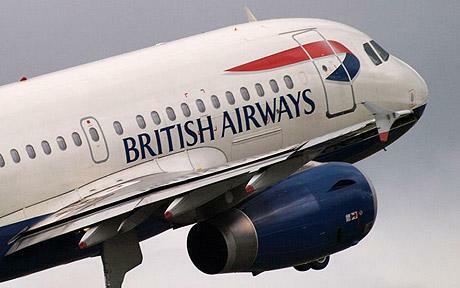 BA has found the London-Lusaka route not profitable and they have decided to discontinue. This is not a crime and they do not deserve to be insulted by people who do not even have a national airline. British Airways is running away from the competition and they cant stand the heat in the kitchen . So they change the goal posts . What do you expect??? After endorsing Zimbabwe during the just ended conference???? Do not be surprised if you here that BA have increased the number of flights from London, Heathrow to Harare!!! After all those mistakes made during the conference speeches by the Zambian leadership-they were too happy to push & throw Robert Mugabe plus his Zimbabwe, back into the limelight!!! With their professionalism in the planning and modern facilities offered to the delegates, don’t get shocked if those much sought after tourists start trooping directly to Zimbabwe again!!!! What a big mess !!!! Let’s not policize this issue this purely business mind you there are British companies operating in Zimbabwe and they have not packed up why? They are operating profitably. The reason for pulling the plug could be mainly political ! Then, socio-economical ! Zambians don’t get emotional BA can not just compete that’s it. We now have big players like Emirates, Kenya, Ethopian and KLM. More better Airlines are interested in the Zambian route. Let them go. A big win. For Emirates and KLM?? Qatar and Etihad are knocking so stay cool. You will have better options. Sounds funny. … And it could be real, too! They are just scared of Statuary instrument no. 55. They can’t keep ticket processed in Zambia. “Statuary instrument no. 55”: What is that, and what does it portend? Good riddance…flew that route once and swore it would be the last time! Would always fly through SA, Africa Power! They will back again like Lonrho Africa… we know how these British operate, they are good at ripping off their consumers. I use BA every time I am coming home to Zambia. Their flights are expensive and the seats are so uncomfortable. The only plus is that it is a direct flight otherwise they can go!!!!! They put their oldest “crapiest” planes on our routes and charge you heaven and earth when they likes of Emirates and Ethiopian Airlines use brand new dream liners and charge a fraction less. I fly BA to Lusaka every 6 to 8 weeks and I must say ever since they started flights being operated by Iberia the planes have not just been old, rickety, dirty and the service has been pathetic. Don’t even start talking about the food and drinks. Let them not tell any lies about the route not being profitable. They always have decent numbers on this route. They just can’t compete! Bring on a direct emirates flight or a Zambian airline and we will use it! “This why Michael O’Leary CEO Ryanair described this British Airways/Iberia merger as ” two drunks leaning on each other.”” Really? This CEO must be a hot guy. I wish, I could meet him. Michael O’Leary is the CEO of budget airline Ryanair, very outspoken Irishman who is not afraid to take on the EU and BA. Ryanair started off with one prop plane and are now the biggest most profitable budget airline in the world, they are similar to their American counterparts Southwest another giant in the budget airline industry renowned for its lean business model. They once gave me a banana and yoghurt for breakfast last June those bugger’s ati ifyakulya fyalibapwila! and tell me to choose what I wanted from their duty free magazine,made sure I got an expensive perfume for my wife. I only used them because it was direct,otherwise that airline is useless!! Even gov’t officials have gone to Emirates now,hope Emirates introduces a direct flight. Isn’t this a business opportunity for Mutembo Fat Bums and Membe? The flights are always full and they leave and arrive at a reasonable time instead of in the middle of the night. personally I am sorry they are closing this direct route. In the past i have flown with KLM Air France and others , via Nairobi or Joburg and then again from Amsterdam or Paris to finally get to London It is a very long haul . Also , the difference in cost varies throughout the year. Sometimes BA are cheaper than others. Also the absence of one player will mean those remaining will be able to hike their prices as it means less competition. Heathrow airport is the world’s leading hub which means that this has the potential to harm Zambia’s tourism industry. It just means slots will be available and the remaining airlines will fill in and be even more competitive which is a plus for us. I hope Turkish Airlines and Qatar Airlines pick up the baton…its a cut-throat industry the weak are discarded to roadside for the vultures and hyenas to finish them off. No problem we shall continue to fly via Emirates, Ethopian or Qatar via J’Burg. Beside the wait period from Chi Town via London to LSK was too long. Besides Ethopian Airways has pretty ladies…mpompo, very smooth with very nice skins. what isolation?? stop being dull,BA has failed to deal with competition as most people have moved to Emirates which has better plans. I hope virgin will take advantage and replace BA to fly direct flights to Lusaka. We need to upgrade our main airport to international standards to attract big players in the avaition industry. Then what are you doing in their country stu pid immigrant! See who is talking, an economic refuge in the UK! …and Damn you America! You can go to hell as well! And here you are ! Using the name of “Mr Bean” the British comedian/actor?? I will have my planes fly the route soon. I will have my planes fly that route soon. Who cares !!!!!!!!!!!!!! BA is just too expensive for an average traveler. All the tourists travel on a tight budget thats why no one use BA. It won’t effect the tourism sector. From BA’s perspective,the decision stems from a financial model that makes ‘cutting loses’ imperative in order to please their investors. Some comments say they are overpriced and whatnot and that may well be the case however it makes financial sense. undoubtably many feel this is all the more reason for Zed govt. to establish a National Airline, the cost of which is a financial behemoth that the country can not carry for long. It would be rife with logistic and other problems. Some comments mention that there are other options and that’s true. Instead, it would be nice to focus on revamping and expanding the power grid, among other things ( Education, health) that will fuel small and large scale bizz like agric, STEM and comm. Just a suggestion. Chakana chinese business global portfolio is diversly afectng busines worldover!BA is ostentnsibly too expensive fr nothng.Same servce though may be time of arival bt its proven BA is being more substituted or less prefered to other lines.Being less economical simply explains its not profitable!Wht next u divest less profitable portfolio ventures!BA divest more & finaly remain with US airlines only.Aftrall its self elimination fr being or loosing business! I can’t blame BA,Zambian population is very small.How many people fly in Zambia?This is why airfares are expensive. What Aircraft does BA use, A smaller to Medium 767-200. Try Emirates they use Boeing 777-300ER,with capacity of 400 and always full. Kenya, 777 as well, Ethiopian 787 dream-liner.Traffic is there, it’s all about business model & competition, because all other players are increasing flights in to Zambia. Ba nyamasoya you probably have never been on BA, it’s always full. It is immoral for any business entity to make losses. Resources are not infinite and it is imperative that only those business entities that run efficiently and profitably shall have access to those resources. If BA management has taken a decision to stop flying to Lusaka (and Dar they did in March) then we shall respect their business decision. most of us Zambians are very dull. we need few more wise zambians like B R Mumba, sr. we are always expecting others to look after us, to develop our country. KLM, Emrates and Ethiopians can also stop if something happens or are not happy with the route. let usd grow us and bring Zambia Airways back. Just because you are dull does not give you the right to assume ALL Zambians are. Try to keep it low. Don’t advertise your dullness to people who never knew about it. And who is going to fly ZA?? The President?? Would you opt to fly ZA if it was $500 more expensive than Emirates just because it has our flag?? Move on…. creating a national airline does not increase tourism how is it that BA will still be flying to Nairobi where the is KLM/KA with its protectionalist policies….what is it about Kenya? Just market Zambia and stop looking for wasteful ways to use taxpayer’s funds. This reminds me of ANGLO-AMERICAN copper pulling out of Zambia in a clinically calculated diabolical, cold blooded move to cripple and maim our economy, at a time we desperately needed them. It’s time we began relying on our own resources. We are old enough to do that, aren’t we? 50 years! What’s wrong with our heads? Poorer countries than us have thriving airlines. First it was British Petroleum (BP) and now British Airways (BA). What next? I guess it will be British High Commission (BHC). Can we reciprocate by re-locating our investment in the UK to say Germany, France or Italy? There is no friendship here. Imagine flying to South Africa, first to get a visa and later fly over Zambia to London. To me it does not make sense. We are being ripped off. BA should not blame the business but themselves. While every airline is allowing 2 times 23 kilo bags, they are still on 1 time 23 kilo bag and they expect to compete. No way, they are using the same planes and their friends are allowing more. People only use it as a last resort. To be fair, their charge for excess/ extra baggage is very reasonable; an extra bag costs roughly what others like Emirates and SAA charge for just 1 kg of excess weight. For anyone with quite a bit of luggage, a BA ticket is far more economical when you consider how much more you would pay to carry extra luggage on other airlines. Also, on many occassions, I have found BA tickets to be similar in price to or cheaper than other airlines. I’m disappointed to see them go as I found the direct route very convenient, but of course, the taxes on tickets was ridiculous. They should have started by reducing the number of flights from three to maybe two or one a week, not completely withdraw! You are FCUKED. BA have seen a rise in human rights abuses in Zambia and cannot continue doing business with a rogue state. The writing was on the wall. Its not only about non profit, we also have muppets you voted for who do not think twice before they open their mouths and insult the west. Quite an inconvenience to go around transiting as luggae will be lost or not arrive on the the same flight as you. Dont worry fokls, they will be back after 2016 when we have voted off the germilins. Now that we have gotten rid of the pretenders (fake bloggers) let’s usher in the hard hitters like my learned friend Tigress – roar!! I urge HH to stop politics and go into the Aviation Industry in Zambia and use Livingstone as the main airport. As soon as Barotse State has been formed which I think will encompass the falls region then we can start prospecting the abundant oil reserves in the region. We shall be stinking rich and we can give handouts to the Government Republic of Zamunda. See the rip themselves apart trying to gonga each other on mere handouts. @Hakantu Moola – Zambia Airways is unrevivable if such a word exists. That airline was used to fly ministers children up and down the globe for free. It was a dent on your hard earned money to globe trot spoilt brats who are now languishing in the diaspora with nothing to do. Why do people have to steal to give to their children? You want your children to be proud of you for stealing to leave them riches when you are dead? This is the issue here. If people can just go back to working hard and achieving thru toil and steadfastness you will see the economy starts to tighten up and become meaningful. It’s hard to account for stolen money into an emerging market such as ours. Usually this money is whisked out of the country and invested in the UK to further enrich Britain at ur expense! We will not miss BA after all they were giving the Lusaka route bad planes with faults! Iyi nimwapusukeni. We will use other airlines plenty available! 1st it was Zambia Airways – now the only direct route from UK. Zambia is well positioned and successive governements now & in future need to realise that & change their out look. Pls Zambians stop this blame culture as your country is not well run to have basis for major business investment. I am a British and I am just informing you that the decision has nothing to do with the current government in Zambia. BA IS STRUGGLING and has been losing business to other airlines PERIOD. No need to blame Mr Sata. If anything he seems to be the one who will bring back the national airline. This is a clear testimony of how Zambia a a destination for business is quickly becoming unattractive. This route has been flown by many airlines including Ba from time i memorial, what has changed now for Zambia to become unattractive? Guess there isn’t need to name prizes for that! If BA has pulled out so be it. This is a purely business matter. Our country needs a national airline that will fly intercontinental and a new airport infrastructure. Look on the bright side, it means that the direct London-Lusaka route is now open to other contenders like Virgin taking over BA slots and SA doing LONDON-LUSAKA-JO’BURG. There are many open doors here. I’m involved with a good many groups travelling back and forth to Zambia and see a wonderful opportunity here for one of the more efficient airlines to pick up the BA slots, put on large modern aircraft and corner the market for those of us (I suspect the majority), who are prepared to pay a reasonable price for a reliable, convenient, direct service, avoiding awkward flight times and the risk of missed connections and lost baggage. Surely well subscribed, direct flights, with modern (efficient) aircraft must provide a more cost effective model than indirect flights with increased distances and extra handling! If there’s an airline out there that wants to explore the needs of the customers I’m in contact with, please contact me. Steve I agree with you 100%. Looks like something good will come out of this. I’ve travelled that route and it was always full. At least now the bigger players can start the serious games, good thing BA realised that they were not thriving at all in Zambia.